In an announcement in the Federal Register on May 15, the USPTO posted a request for comments on the recommendation for the disclosure of sequence listings using XML (Proposed ST.26). The standard is being revised to require the use of extensible mark-up language (XML) format, to update the standard, and to more closely align requirements of the standard with those of public sequence database providers. The USPTO is requesting comments to be received on or before July 16, 2012. No public hearing will be held. As an explanation for the proposed change, the USPTO explains that in October 2010, the Committee on WIPO Standards (CWS) established a Task Force, designating the European Patent Organization (EPO) as the lead, to propose a revised standard for the filing of nucleotide and/or amino acid sequence listings in XML format, known as the “XML standard.” It is expected that the XML standard will be adopted at a meeting of the CWS in early 2013. 1. Recommendation for the disclosure of sequence listings using XML (ST. 26): click here. 2. Annex B1 Controlled Vocabularies: click here. 3. Document Type Definition (DTD for ST. 26): click here. 1. The XML standard (paragraph 4) prohibits the inclusion of any branched nucleotide or amino acid sequences or any sequences with fewer than ten specifically defined nucleotides or fewer than four specifically definted amino acids. 2. The XML standard (paragraph 5) specifies inclusion of sequences containing any nucleotides that can be represented using any of the symbols set forth in Annex B.1, paragraph 1, Table 1. This includes modified nucleotides. 3. The XML standard (paragraph 6) specifies the inclusion of sequences containing D-amino acids. It remains to be seen how this new XML standard will impact biotech practice, and how burdensome it will turn out to be, or how useful. Some of you may have noticed that if you try to go to the Google Patents homepage, you are now automatically redirected to the main Google Home Page. In fact, without much warning, Google decided to integrate Google Patents with its main Google search engine. This is part of an initiative by CEO Larry Page to streamline the services offered by Google. Some of the other services that have also been shut down are Google Flu Vaccine Finder, Google Related, Google Sync for Blackberry, Google Talk’s mobile web app and One Pass. For a complete list of services that have been affected, read here. The good news is that Google Patents is not gone altogether, and the Advanced Search Page is still active, as Google explained in their blog, cited above. It is also encouraging that Google plans to add additional features, such as the addition of patents from other countries. In a previous blog post, I reported that Google is now archiving US patent file histories from public PAIR. Hopefully, Google will continue to expand its patent-related services. Keep checking back for updates! I recently interviewed Drew Smith, the developer of the MPEP Plus iPad App. He had sent me a free copy of the app to try out, and I decided that rather than write a review, it would be interesting to interview him to find out about how he decided to become an app developer while still in law school. 1. 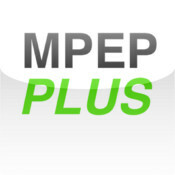 How did you come up with the idea for your MPEP Plus iPad App? My firm does a good amount of international work through foreign agents, and I initially planned to make a database of global patent laws and procedures. My thinking was that it’d be extremely useful to have quick access to, say, rules on novelty in Brazil, without having to search the web and click through a lot of clutter. But while simple to code, the app became a little problematic, interestingly enough, because of IP issues. Many foreign governments hold copyrights on their government works. I found a good number of English translations of foreign-language laws, but many of those were the result of someone’s creative translation. After a while, my app was so gutted of information that it was essentially just the sites of USPTO and WIPO, with poor auto-translations of a handful of government works. I refocused the app to only provide the MPEP and supporting materials. The “PLUS” was my personal joke about my app being better–as if the MPEP, the bible of the industry, is somehow inadequate! 2. There are already other MPEP apps on the market–how is yours different? After I released the first version of this app, I looked to see what had already been done. Surprisingly, there are very few apps that focus on the MPEP, despite the fact that every patent attorney and agent uses it. I wanted to incorporate things that make the iPad fun, such as touch gestures, animation, and vibrant colors. I like to think that the use of public-domain patent drawings add a touch of humor, and that the patent-retrieval system is an intersting twist on just punching in a number. If you’re going to make a program for such a powerful platform, why subject users to page after page of black text? 3. You are a patent agent and are about to be admitted to the NY bar, right? How did you become interested in becoming an app developer? Yes, I’m an agent for about one more week, until I’m sworn in as an attorney. I’ve always liked programming, probably because it’s in my blood. My dad got his undergraduate degree in applied math, which was computer programming when computers were the size of a small car. Later, in the mid-1980s, he was one of the first attorneys to use a computer in his law practice, then started his own software company in the 90s, and put out his own iPad app, Form 14, in January. (It calculated child support using Missouri guidelines.) I took a programming class in college, but didn’t consider it as a career. Later, as an engineer, I modified pieces of software that were in place at the time. I dabbled in coding a game for the XBox but never made anything worth releasing. When I started in patent law, I realized that I needed something to distinguish myself as a patent professional. There will always be people with better degrees, or better grades, so why would a client pick me? So I’d say I got into iOS programming half for my own enjoyment, and half to show a subset of potential clients that I can handle at least some of their inventive subject matter. 4. Do you have any advice for others who are interested in developing their own apps? I’d say dream big, but start small. My first app, Dial-a-Patent, was a slightly tweaked calculator from the first tutorial of Paul Hegarty’s iOS development class on iTunes U. I wanted to do amazing things, but I had to keep it in perspective. Also, I’d estimate that learning Objective-C and Xcode took me around fifty hours. That’s just time spent running through tutorials and reading about syntax! That being said, if a person is dedicated enough, once they get past the initial learning curve, integrating functionality is not nearly as daunting. If a person has capital but not time, there are lots of talented programmers out there who would make an app for cheap. 5. Are you currently working on new apps? Any hints? Since I’ve started developing, I’ve had people approach me with a few non-legal ideas, almost all of which incorporate the most interesting features of iOS: animation, facial recognition, photo integration, geolocation, 3D modeling, RSS feeds, and so on. Unfortunately, because they are for other people or entities, I can’t really discuss them. I’ve considered doing apps for other areas of law, or law students, but don’t have a “hook,” like patent illustration, just yet. The next thing that I’ll release will probably be a patent form app. It would be useful if you need to fill out an IDS, or declaration, and don’t have your computer in front of you. In addition, there will be a couple of other features that I hope will utilize the benefits of the hardware. 6. What are your favorite apps for (a) work and (b) play? I don’t use too many apps at work, other than my own! But I can say that Penultimate and iAnnotate PDF really helped when I was studying for the patent bar. For fun, the app I’ve used most, hands down, is Hipstamatic. I play a good number of games on the subway, like NBA 2K12 and Final Fantasy Tactics. And apps like HBO Go and Netflix provide a good dose of entertainment at the end of the day. The patent file histories of roughly a million and a half patent applications are now available through Google. Google is crawling file histories from Public PAIR on the USPTO website. Google repackages the documents as zip files. Google has provided detailed information about the format. For instructions on how to retrieve file histories from Google Click Here.